MoTiff's Cooking Adventures: Cake Battle! 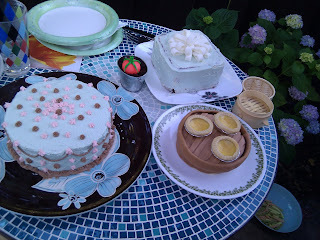 ended up making 3 cakes - most of them are disguised as things other than cakes, like dumpling steamers. In the end, we were all winners, except for anyone who was trying to diet.